There are millions of people who begin or end each day by listening to their local public radio station. 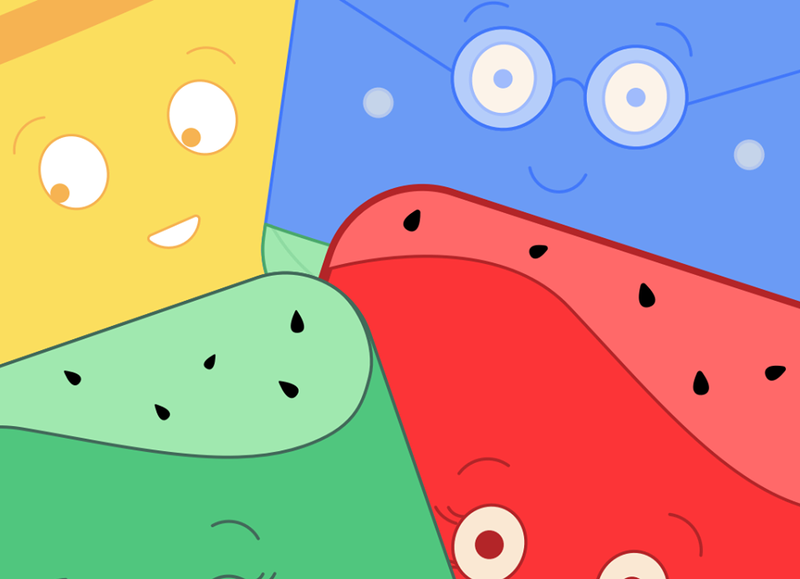 At some point they will hear programming from NPR (National Public Radio), and in fact many people look to such programs for up to date news about a wide range of issues. 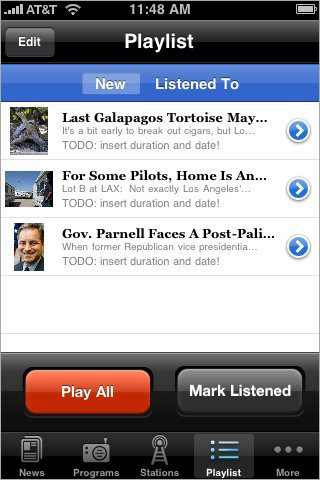 The NPR News app allows anyone to select the sort of programming that they want to hear, save it to their mobile device, or even listen to it live. 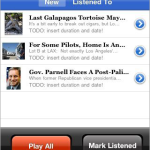 Those who download the NPR News app will be able to select from the full menu of public stations in the United States and stream their broadcast. 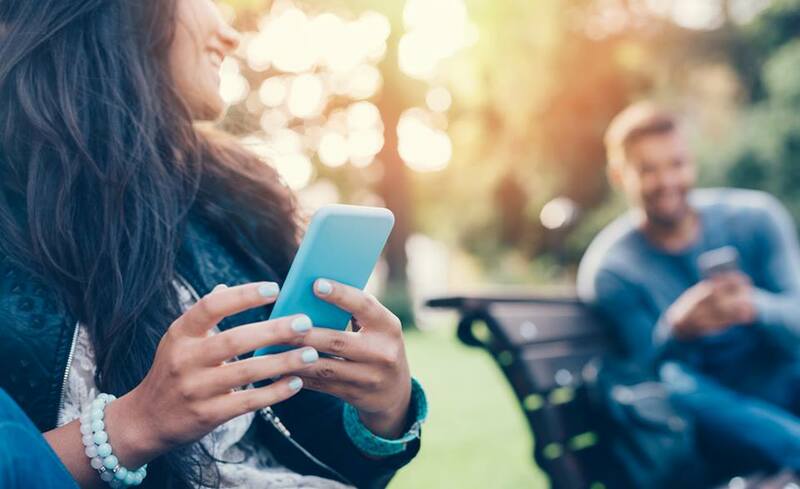 They will also be able to hear the NPR hourly updates, create a playlist of the items they want to hear or listen to again, and even read stories while taking in the broadcast too. 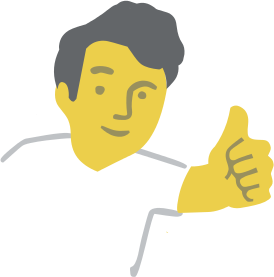 Most users will bookmark their own local stations to the favorites, but they can add whichever additional stations they like, they can access up to date program guides for the specific NPR programs they enjoy hearing such as All Things Considered, or Car Talk, and then listen to them as well. 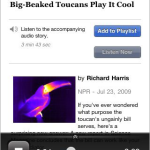 The app has full controls for streaming media, and a pre-recorded program can be paused, rewound, or fast-forwarded. 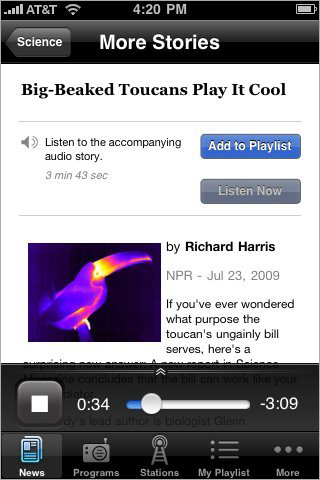 There are other NPR-focused apps, such as NPR Addict, but the NPR News app delivers the entire range of available programming from anywhere in the country. It is available for Android, Blackberry, Nokia, Palm, Symbian, Windows Mobile, iPod Touch and iPhone users. 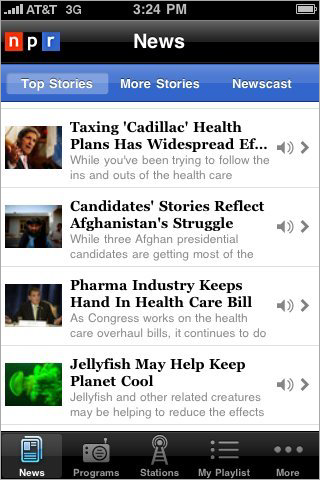 There is no cost for the NPR News app download. 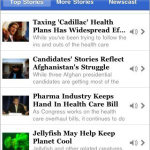 If you enjoy NPR stories and news this is the perfect app to choose.